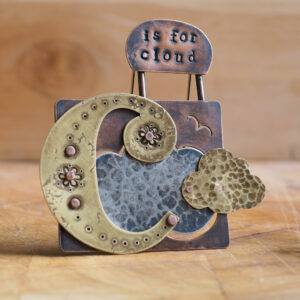 Each of my Little Stories illustrates a letter of the alphabet and here we have the letter ‘C’ for Cloud. 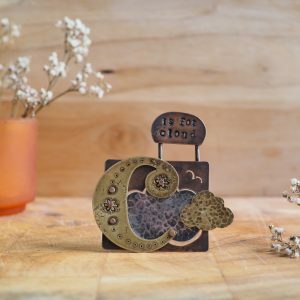 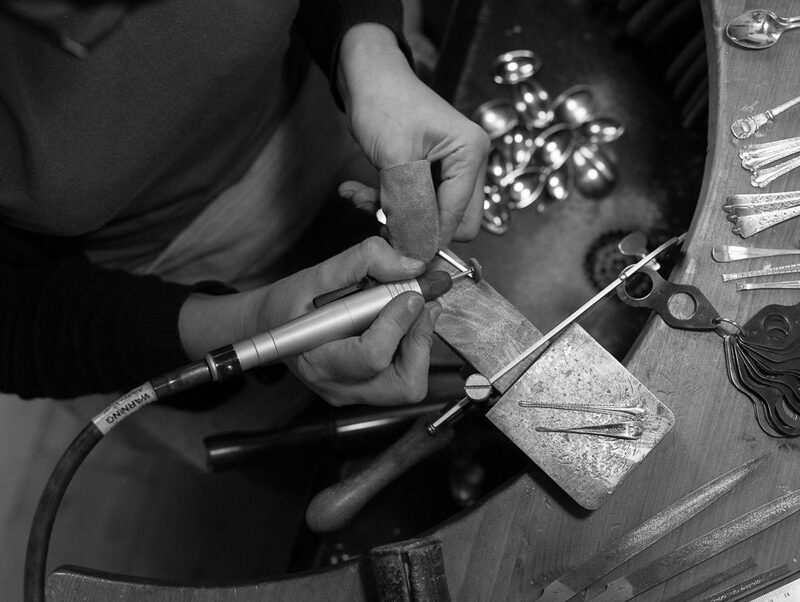 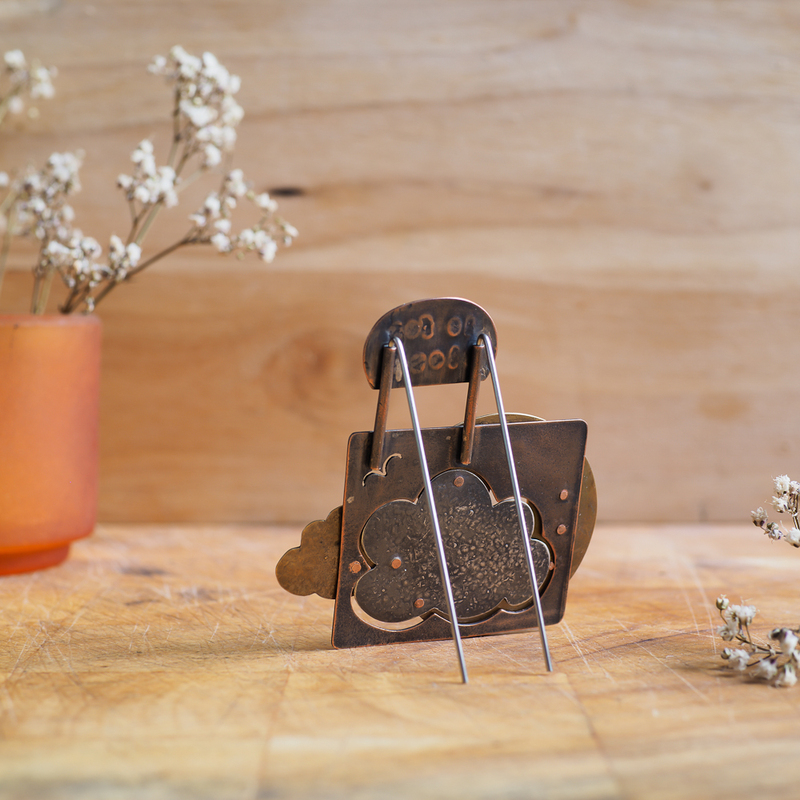 Using a mix of brass, silver and copper – all of which are recycled – the separate elements within this little story are soldered or rivetted together to create a lovely little scene including a bird, a signpost and the all important clouds. 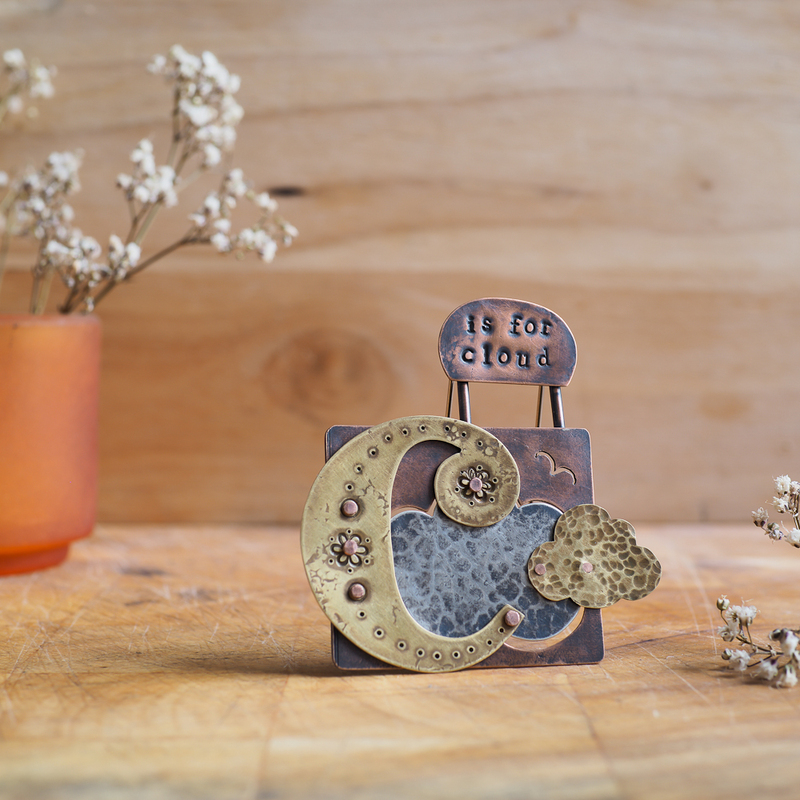 The piece measures approx. 6.5cm x 6.5cm and is supported by two steel posts at the back which enable it to stand – these are removable, so that the piece can be flat packed for shipping.